We have been advised by MEAN WELL Taiwan that there are a number of fake power supplies coming out of China. In the past it has been fairly easy to spot them as the manufacturing quality has been poor, and the product labels have had poor copies of the MEAN WELL logo on them. Such as this example we recently came across. The image below is a fake MEAN WELL LED power supply. It is supposed to be an LPV-200-12. 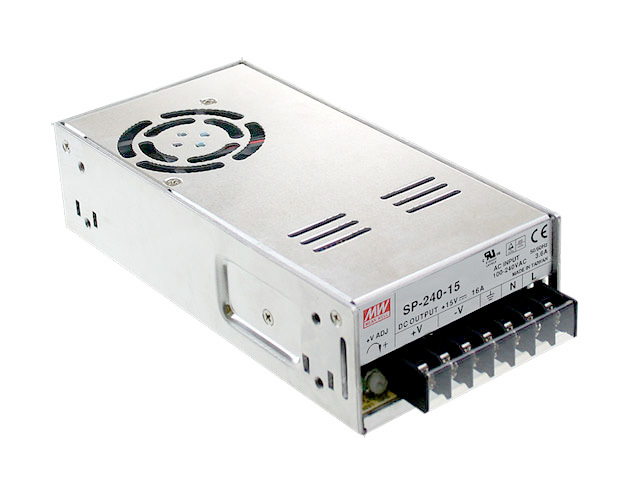 The MEAN WELL LPV series is a plastic bodied LED power supply, not metal. There is no 200 Watt LED power supply in the MEAN WELL range. The MEAN WELL logo is wrong. Compare it to the one on this website! Just one other note of caution. The genuine MEAN WELL LPV series LED power doesn’t have Australian approvals, so it should not be installed in Australia anyway. Unfortunately, the copiers are getting good at producing a product that looks like a genuine MEAN WELL power supply. However, the product is still poor in design and they generally fail very quickly. They generally have had no safety testing carried out. Approval markings are also fake. They are of a poor design that could result in fire, or electrocution. The importer falls fowl of the law by importing an unsafe, unapproved product. By law these products must have Australian Electrical Safety Approvals, and it is the importers responsibility to ensure that the power supply has been tested and certified accordingly. Of course, the easiest way to ensure your MEAN WELL power supply is genuine and approved is to buy from a MEAN WELL Australia sales representative. If you have a MEAN WELL power supply that you think may not be genuine, then contact MEAN WELL Australia with the serial number. We will check for you. In the previous： How a proactive approach can alleviate common commercial lighting maintenance headaches The next article： How to identify fake Mean Well power supplies?